If you’ve ever caught a ball incorrectly and experienced intense pain in your finger joint, you likely experienced a jammed finger. This type of injury occurs when an impact strikes the tip of the finger, causing a sprain or tear to the ligaments around the middle finger joint called the proximal interphalangeal (PIP). It is a fairly common injury to occur in sports such as volleyball, basketball, and baseball, but you certainly don’t need to be an athlete to sustain this painful injury. Jammed Finger – Or Something More Serious? Just because a jammed finger is a common injury doesn’t mean it should be ignored or overlooked. What at first may seem like a simple ligament sprain in the hand could actually be something far more serious such as a finger fracture or dislocation. Getting an X-ray and a proper diagnosis from a doctor is extremely important. If a jammed finger isn’t treated quickly and correctly, long-term damage can occur, including permanently reduced range of motion in the finger joint. When you have a finger injury, you need a diagnosis and treatment – fast. You don’t want to wait hours in the emergency room, and you certainly can’t wait days or weeks for an appointment with a primary care physician or orthopedist. That’s where Physician Partners of America comes in. With convenient locations in Florida and Texas, you can get quick, easy access to a doctor and a team of experienced medical professionals who can diagnose and treat your jammed finger. Whether you need splinting or casting, or you simply need home care guidance for your finger injury, we’ve got you covered. 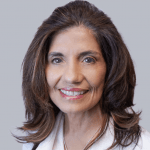 Moved by the desire to truly make a difference in peoples’ lives, Dr. Maria Del Rosario Gomez is a primary care physician with the Florida Primary Care Group. What is the Cause of Your Diabetic Leg Pain?